The film is full of archetypal characters with no grey shades. Hence, they all give away the hint that they are there to serve a predictable purpose. Ever since Vikash Bahl’s Queen released in 2014, there have been ample films on exploring women’s identity beyond marriage and Shieladitya Moulik’s Sweater falls into the same category. 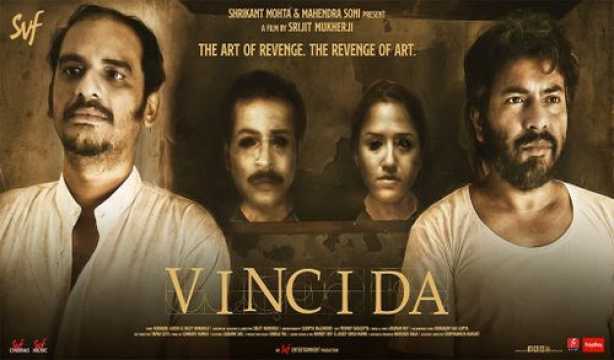 However, the film is pale as its protagtonist Tuku, played by Ishaa Saha, lacks intensity. A film with a singular aim to establish a message often loses soul in its journey and Sweater is not an exception in this regard. The film is full of archetypal characters with no grey shades. Hence, they all give away the hint that they are there to serve a predictable purpose. Tuku is an average girl with no talent or expertise in any field. 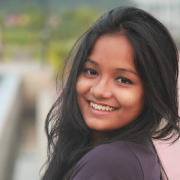 Her sister Sree (Anuradha Mukherjee) is the pride of their parents and is clever too. Tuku’s parents’ only objective is to marry her off. However, no suitor is impressed with Tuku as she hardly seems promising. Tuku’s boyfriend Pablo (Saurav Das) doesn’t want to commit to the relationship and is a believer in an idealistic world. For him, marriage is a superficial institution. He takes Tuku for granted and knows that no suitor will select her. Hence, he is also not bothered about her preparations for marriage. A prosperous family from Kolkata comes to visit Tuku. The mother (June Malya) of the chartered accountant bachelor is a snob and hardly has interest in enquiring about Tuku’s skill in making tea or singing. She places a rather unusual proposition and asks her to knit a sweater with similar expertise of hers within one month. If Tuku succeeds, she says she will fix the marriage at once. Here the character of the prospective mother-in-law is quite problematic or rather her character makes the director’s intentions dubious. While she claims to understand Tuku’s potential better than anyone else and also justifies her proposition for building a comfortable relationship with her would-be daughter-in-law, in the climax, she is only reduced to a strong representative of the patriarchal system. 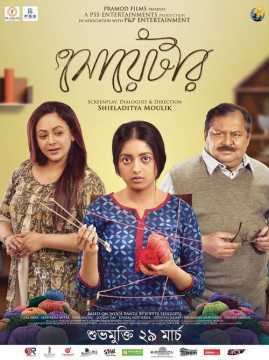 Tuku’s father Mahadeb (Kharaj Mukherjee) takes her to his sister (Sreelekha Mitra) who gives knitting lessons. While the later disagrees to teach knitting for a regressive reason, Tuku expresses her wish to learn a single skill for her own sake. Tuku gradually realises that her aunt’s classes are not only about knitting, but on overall personality development. Though her aunt emphasizes upon inducing her hunger for learning, but the ideas on which the classes are designed could have been made more detailed and hence, the journey of Tuku’s transformation would not have appeared drastic. Shamyo (Farhan Imroze) is a charming violinist in the class, who inspires a lot in changing Tuku’s outlook. Eventually, Tuku begins to see the world from a wider perspective than solely concentrating on getting married. 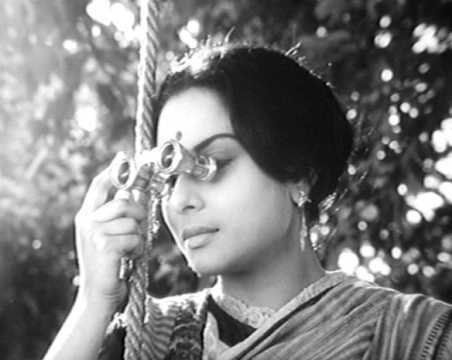 The second half becomes clichéd with the feeding of melodrama through the character of Shamyo. Also, Tuku doesn’t seem depressed, but rather appears unresponsive throughout the film. Ishaa Saha’s consistent flat expression turns the character rather passive. Moulik has over simplified the entire narrative, including the sketching of the characters that hardly go through any turmoil to achieve sudden transformations. The episode of Sree getting dejected by her boyfriend also appears confusing. From the beginning, Sree seems to be flirting with the boy and then she feels betrayed when her boyfriend turns down her proposal for marriage. Also, did the director want to bring any kind of appropriation by making Sree’s boyfriend say that Tuku is more suitable for marriage than the clever and radical Sree? Why are Mahadeb and his wife supportive of Sree’s radical ways while being entirely insensitive when it comes to Tuku? Anuradha Mukherjee is feisty and spontaneous in her avatar. Sreelekha Mitra does justice to her character as she turns both affectionate and strict according to the demand of the script. 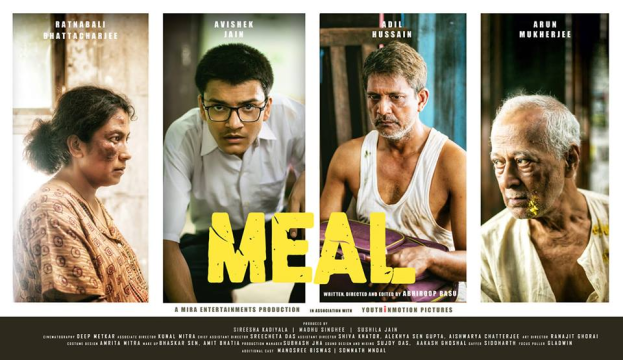 Kharaj Mukherjee shines as the blabbering, insecure father, always trying to adapt to the superficial rules of society. Saurav Das is also quite natural as the pseudo-intellectual musician. Debut actor Farhan Imroze rather impresses in his brief yet charming avatar, placed against the character of Pablo. He is a musician too but unlike Pablo, he is sensitive and pays heed to the most delicate sentiments of people around him. June Malya delivers a thoroughly flat performance. At times, she seems like only delivering her lines, keeping her expressions intact. Uday Singh Mohte’s camerawork beautifully captures the beauty of the hills and forests of North Bengal and the cosy yet small corners of Tuku’s family. However, a few close shots including some of June Malya, appear rather static, hardly bringing out the expression in the moments. It is also strange to place so many Bengali families in the hill stations – which is a rare case. Ranajoy Bhattacharya does a decent job in lending a soothing feeling to the narrative. Sweater is a confusing film with a linear and over-simplified narrative. Apart from a few funny moments, the film is hard to connect with.